They’re putting out an ANZAC training shirt though apparently. Sigh. Dream's idea is reasonable. Home jersey a modernised 1995 replica. Away jersey a jersey that changes every couple of years to allow the club to flog different jerseys every couple of years. I'd prefer if we wore the white at home (in the hot) and blue away (in the cold). For me the 2004-2005 jersey was the worst. How bad has that aged. Looking back it looks awful. But if you looked back at the 95 jersey through 2017 eyes it still looks good. They've been giving the kids what they want for almost 2 decades (well, what they probably think the kids want anyway), you cant neglect the old heads for the kids - who do you think are the people that instill a love for the game into the kids? Like I said, traditional home jersey with a bunch of cartooney special rounds and away jerseys gives something for everyone. Agreed. 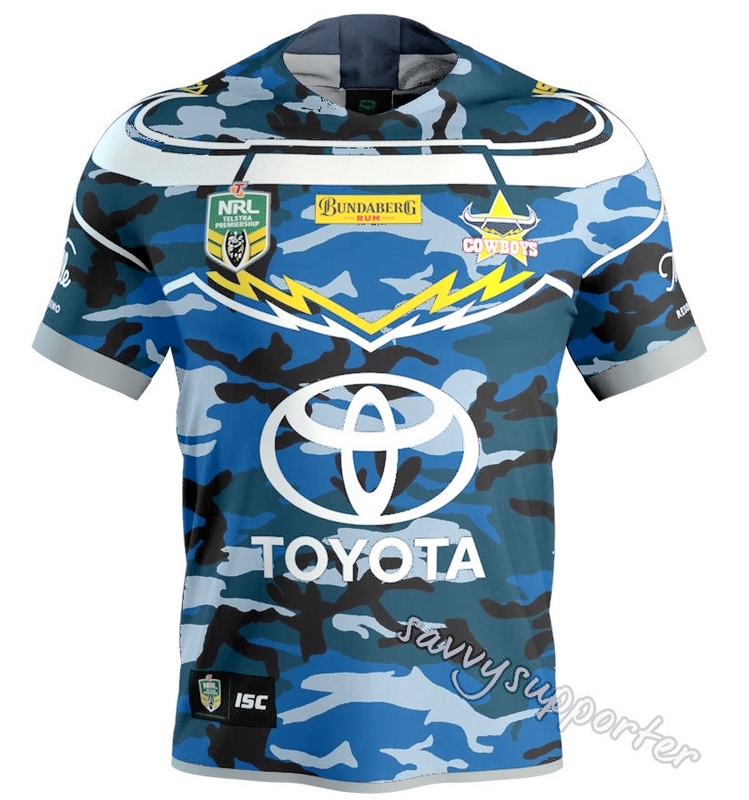 The home jersey we all seem to want (modern take on the '95 strip) and an away strip that changes every second year or so along with the Marvel round, Anzac, Women in League etc. would be perfect. Something for everyone while still retaining a consistent identity. I think it would be great as both a fan and a player to see the original strip running out at every home game and recognising just how far we've come. The epitome of building something from nothing. It was our first ever period of success so the jersey will always bring up good memories. Not that I want to go back to it either. By fat Mark Tookey as well. At $180 a pop I'd suggest that most jerseys aren't sold to kids. KFC is nothing to scoff at. Although it may be an important clue in figuring out why we had so much dropped ball and missed tackles. I wonder where this club would be without the investment of Lancini? Granted, he has not always made the best football decisions but he loves the club and has the right people (e.g. Peter Parr) involved calling the shots now (notwithstanding he still has a strong voice at the table). He has probably burnt a lot of his personal wealth and resources keeping the club alive, at times.